We offer two wedding room venues, the largest of which can accommodate 130 guests for a reception. In the warmer months, our hotel's spacious outdoor patio venue can seat groups of up to 90 guests. Enjoy high-speed Internet access in both venues, and accentuate your event with delicious catering. Our convenient hotel location in Newark, near Wilmington, is ideal for out-of-town wedding guests. Book an affordable block of rooms at our hotel for your wedding or group event in Newark, Delaware. Contact us today about our room blocks, and start planning your wedding or event here in Delaware! 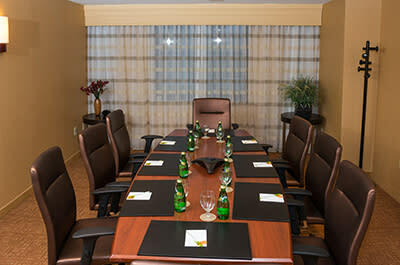 Description Courtyard Marriott Newark is located next to the University of Delaware's Conference Center (Clayton Hall). 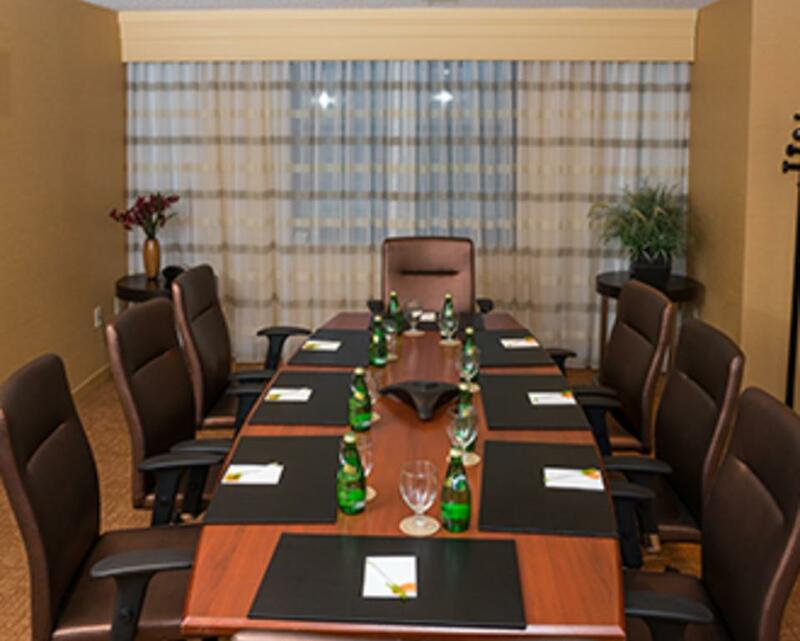 Clayton Hall has over 40,000 square feet of meeting space and is within a few steps from the Courtyard Marriott.